Package Code(Budha- SPL08) 7 nights & 8 days. On arrival at Varanasi airport meet our representative and transfer to Bodhgaya. 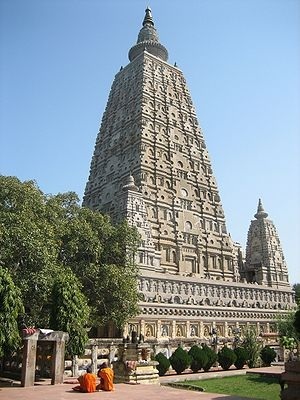 Bodhgaya is the place of the Buddha's Enlightenment and spiritual home of Buddhists. It attracts many believers from all over the world. Bodhgaya situated near the river Niranjana, is one of the holiest Buddhist pilgrimage centres and in the second place of the four holy sites in Buddhism. In morning after breakfast start journey to Rajgir and Nalanda. 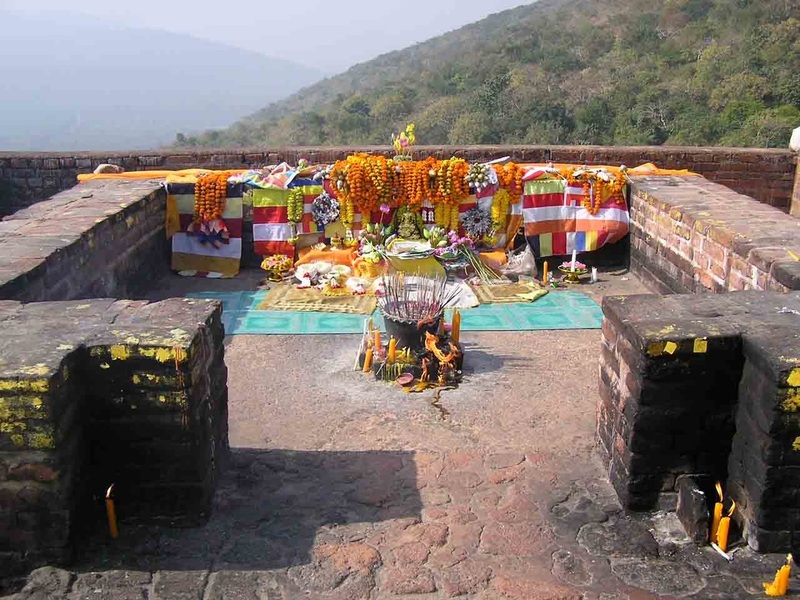 Rajgir is a site of great sanctity and significance for Buddhists. Rajgir is an important Buddhist pilgrimage site since the Buddha spent 12 years here and the first Buddhist council after the Buddha was hosted here at the Saptaparni caves. Afternoon visit Gridhakuta Hill, Bimbisara jail. 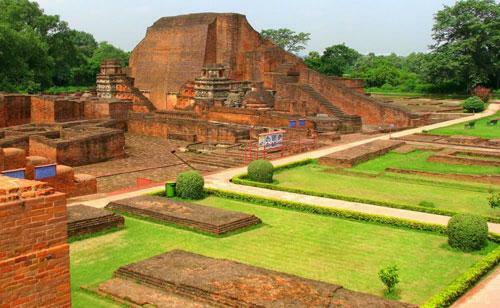 Drive to Nalanda which is 14 kms drive and it was one of the oldest Universities of the World and International Centre for Buddhist Studies. Drive to Patna which is 90 kms, on arrival at Patna transfer to hotel for overnight stay. In morning after breakfast proceed to Kushinagar enroute visiting Vaishali - place where Buddha announced the approaching of his Mahaparinirvana. 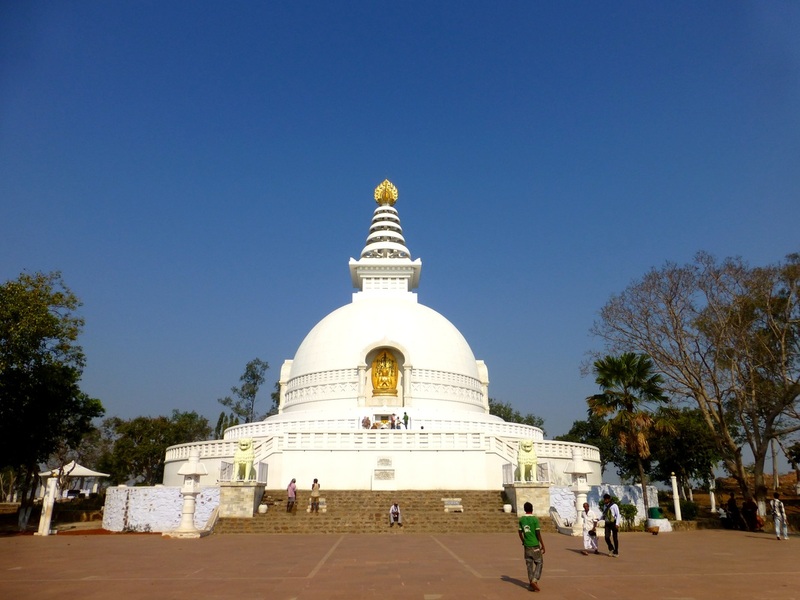 After that continue drive to Kushinagar (place where Lord Buddha had left the world behind him after offering an invaluable contribution to humanity, the great religion known as Buddhism). On arrival Kushinagar, transfer to hotel. Evening on leisure. Overnight stay at Kushinagar hotel. 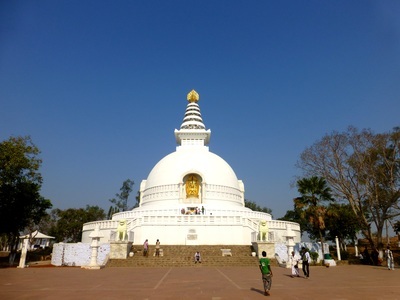 In morning visit Mahaparinirvana Temple(where Budha took his last breathing) and Ramabhar Stupa(Cremation site of Lord Budha). Later drive to Lumbini - the birth place of Lord Buddha. On arrival, transfer to hotel. Afternoon visit the birth place of Buddha - Mayadevi Temple. This place is a blessed one for its serenity and the natural beauty, purely coinciding to the perception of a place where the legend was born. Overnight stay at Lumbini hotel. In morning start journey to Sravasti enroute visiting Kapilavastu - the childhood home of Gautam Buddha. 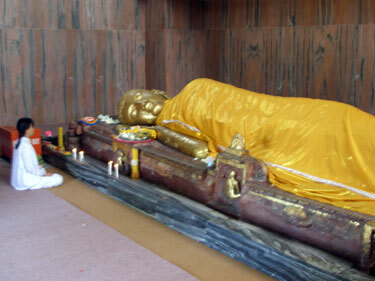 Afterthat proceed to Sravasti where the Buddha preached most of his sermons. Here he is said to have performed many miracles, and levitated. During the monsoon, he used to stay at the Jetavana monastery on the outskirts of this town. Overnight stay in Sravasti. Early moring visit Ganges river for sunrise boat trip to view Sunrise & see people performing different hindu religious work which is part of life cycle of human being. After breakfast visit Sarnath, Sarnath is the place where Lord Buddha lad preached his sermon to his first five disciples after attaining enlightenment. 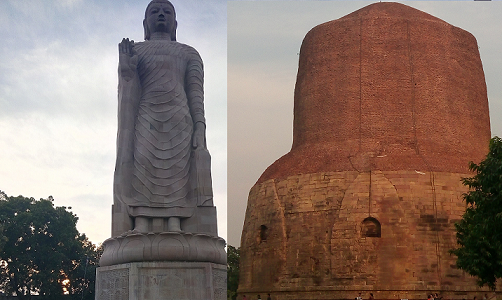 In Sarnath visit Dhamek Stupa - most visited and known as most important Buddhist shrine in the world. Later also visit museum, Thai temple, Main temple. Evening on leisure. Overnight in Varanasi. In morning get ready to drive to airport with memories of Buddha and his teachings. 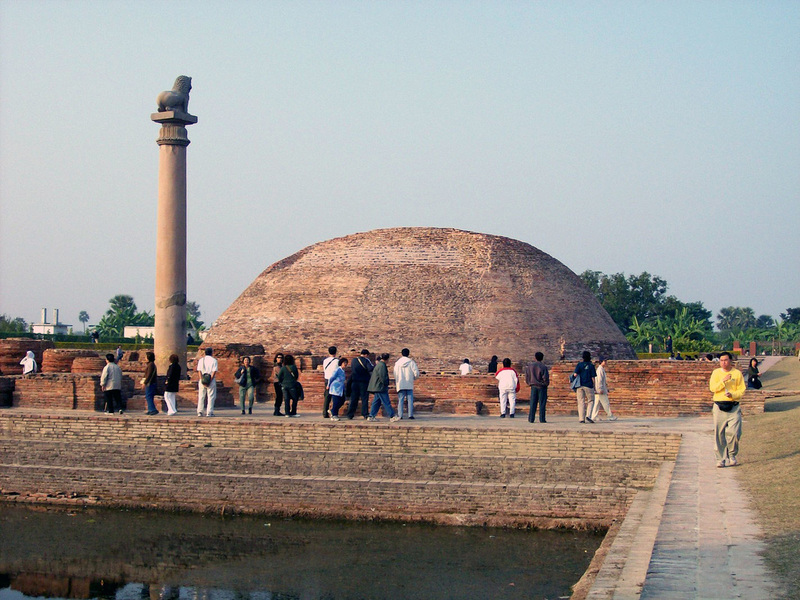 Dhamek Stupa & Mahabodhi Statue, Sarnath. Contact us for more information Tour Can be customised as per requirement in less to more days. Also contact for expanded Budhist pilgrimage tour of Ajanta - Ellora, Khandagiri, Leh - Ladakh, Dharamsala - Himachal.